Now that HKDL has secured its' expansions for the coming 5-6 years, what will we get next? Star Wars or Avatar land? As you know Disney is now differentiating its theme parks to make sure every park is a bit different and unique to attract more international visitors, therefore we cannot assume that Star Wars and Avatar land will be build in every park in Asia. -Avatar land will be build in Shanghai. The Avatar movie is much more well known in China compared to Star Wars due to the historical suppression of Western Media in China in the 1970's. Chinese people do recognise the Star Wars brand but they don't really know or love the story and its characters. Also Avatar's world, Pandora, was originally inspired by a National Forest Park in China. So Avatar land seems very logic to me as the first major expansion to this newest park and when its build in Shanghai, it will probably not be build in Hong Kong. -As for Hong Kong, I honestly don't think we will get anything, at least not as the first ones. It will be 2023 when the Marvel Area is completely build. Marvel itself is already a big IP. However, I think there is more chance for Star Wars in Hong Kong then Shanghai, since HKDL is much more targeted to the international customers in Asia compared to Shanghai. Also HKDL already introduced the Star Wars vibe with the Hyperspace mountain / Jedi training temple / Star Wars-Meet and greet which will all be replaced with something of Marvel in the following years, so its logical to keep something of Star Wars in Hong Kong (it will probably be a modified version in the possible 2nd Gate land, that is if all goes well after the expansions). -Star Wars land will probably go to Tokyo first , it was the only park in Asia with a Star Tours ride for years and Japanese people are much more familiar with the Star Wars story. I seriously do not want WDC to ask the HK govt for taxpayers money for expansion projects again. Float HK Int'l Theme Park Co Ltd on the HK stock exchange and get new funds from the market instead!!! I think WDC has a plan for the second gate. I have no sources but I think they have a plan. I am not sure about Downtown because I don't think it will be attractive to people unless there already is a second gate. I know Disney traditionally would reserve some undeveloped land in Gate 1 to come back after they completed the 1st Phase of Gate 2 to make the Gate 1 park attractive again. But with all 6 Disney parks fighting for new land and rides constantly, I wouldn't be surprised if their strategy for HKDL is to use up all land in Gate 1 first. This would probably be the most cost effective, risk free and fastest way and also they don't need to spread the already lower HKDL attendance between 2 Gates. Shanghai will probably reach 9-10 million attendance in its first year already, while HKDL would probably need another 3 years to reach the same (that is 16 years after opening). If I were WDC I would probably add a 2nd gate to Shanghai first. Besides given the recently approved size of the expansions in HKDL, we would still have enough land in Gate 1 for another 5 years of development after 2023. Also by adding Frozen land and Marvel in the 1st Gate, they have pretty much used up 2 of the better IP's which can actually draw people for a visit. The only IP's that could probably carry another new Gate at this moment would be Avatar and Star Wars unless another new IP with a Frozen-like success will happen in the coming 5 years or Disney buying another IP like Warner Bros-DC or Studio Ghibli. Last edited by hakjie11; 05-08-2017, 11:36 PM. I just discovered that with the addition of Frozen land and Marvel land, the total lands in HKDL will increase from 7 to 9. Meaning that Tomorrow land will still be there EVEN after all the Marvel rides are completed in 2023. 1/. Hyperspace mountain will remain untouched or still be re-imagined into something that could fit into the Tomorrow land theme, but definitely Non-Marvel. I bet Hyperspace will remain untouched in this case, since it just had a makeover from Space mountain to Hyperspace Mountain. Also during the official HKDL presentation, they only mentioned Iron Man Experience / Shield ride (buzz makeover)/ Avengers ride to be part of the Marvel Area. So my bet is that Tomorrow land will still consist of Hyperspace / Orbitron and the Starliner Diner and Marvel Area will just be the area behind it with the 3 other rides. 2/. So you probably think that Winnie the Pooh will be re-imagined then in 2021. Since this is one of the rides untouched since HKDL opening and also because Shanghai and Tokyo has an even better version of it already. It could be, but I think with the New Castle hub's day and night shows and princess shop within the castle and Frozen Land, there is already a lot of new stuff for the Fantasy land area. 3/ So the only old ride we seem to be forgetting all the time is actually the biggest ride in HKDL in terms of size.. Jungle Cruise. Jungle Cruise will get its own movie, starting to film in spring of 2018 (meaning the script is already finalised), it would probably take 2 years before it gets released, meaning around 2020 earliest (perfect timing for 2021). The chances that the Jungle Cruise will get a makeover is huge, if you see all the expansions planned, Adventure land only gets a small Moana theatre in 2018. It is almost like they intentionally ignore it until it makes sense that the 2021 project will most likely be Jungle Cruise. Given that Dwayne Johnson (the rock) will film it we can probably be sure that it will be an action-adventure movie probably similar vibe to the Kong :Skull Island movie. Imagine how you can easily replace the existing animatronics with something bigger and scarier. It also makes sense since who is still impressed with the fake-life like animals/spiders nowadays, people are more interested in Dinosaurs or monsters. Add a water drop and grotto-cave finale (similar to Roaring Rapids in Shanghai) and it could probably even compete with the Jurrasic Park ride at Universal. Btw the new Jungle Cruise movie has only been confirmed last month (April 2017), so this also explains why they had to keep it a secret when they announced the HKDL expansions last year in November 2016. Imagine Marvel, Frozen and Jungle Cruise and a new Castle in the middle. This might explain why the expansions are so expensive and why Disney is so confident to reach the attendance of 9 million. HKDL will look like a completely new park. Last edited by hakjie11; 05-09-2017, 11:25 PM. Instead, I wonder if Jungle River Cruise will be given a night-time improvement just like they did in other parks before. The action-live movie of the Lion King will be out in 2019, would there be possibly any Lion King thing come to the Adventureland too? HKDL used to debut new lands and attractions to differentiate itself, if they come up with a new "Land" instead of expansion of the existing ones, I hope something brand-new. Last edited by ree523; 05-10-2017, 07:47 PM. With Moana show coming in 2018, do you guys think they will still keep the Lion King show? The Theatre of the Wild is occupying a lot of space. I could see the opportunity to take down the theatre and build some other attractions. 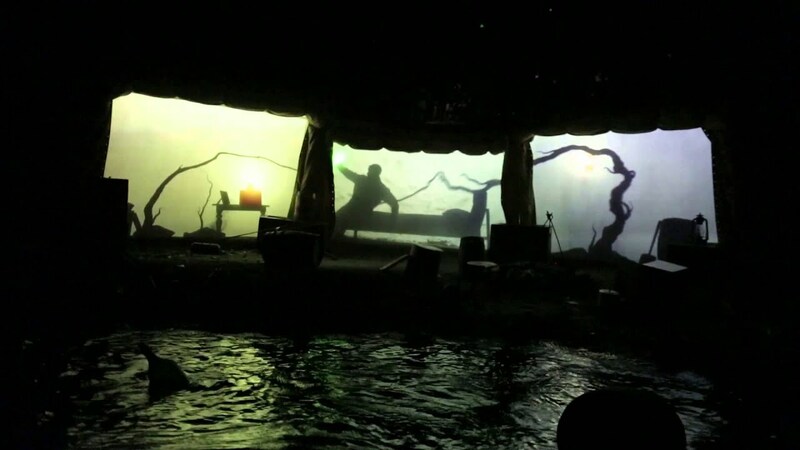 How about an Avatar Pandora boat ride makeover for the Jungle Cruise in HK? They could replace the Tarzan house with one of those Floating Rock mountains like they recently build in the Animal Kingdom in the US. The story is certainly strong enough to attract crowds in Asia. Edit : Btw we don't have our own HKDL version of "Soaring over the horizon" (Shanghai has one and Tokyo is building one now, in fact every park has one I think), the new Avatar Banshee Flight of Passage will go nicely with the Jungle-Cruise-Avatar-Boat-ride makeover. This Avatar version of Soaring can easily be build in the empty land between the Theater of the wild and Grizzly Gulch or just replace the Theater of the wild. Last edited by hakjie11; 05-12-2017, 01:25 AM. I do not think HKDL has such big plans but I would love to be surprised. Adventureland does need a lot of work. If HKDL did move forward in the second gate and build Star Wars Land as hakjie11 predicted, then they can also install Star Tours 2.0 there, to make it even more complete than Anaheim's version. Pandora could be built in Shanghai but then again they might face those stupid legal challenges, where the Chinese claim to own the intellectual property rights or whatever. In Hunan province they already claim to be the place that inspired the Pandora settings. So maybe it is safer to build it in Hong Kong. We can always have Cars Land in the second gate while they are at it. Hey guys, after some further internet digging, I found a company claimed to be involved in the planning of the Hong Kong Disneyland 'original' master plan. You can see on this master plan map, which HKDL seems to have largely followed for its expansions, that the land between the New Marvel area and the Disney Storybook Theater is actually also for development use. Meaning that if you count all the land parcels still available after the recently approved expansions, we still have 4 land or attraction area still available for Gate 1 development until it is really fully 100% occupied. So if HKDL for some reason wants to postpone Gate 2 again, it would still have enough land resources at Gate 1 for another 5 years of development easily. The pirate-themed land was originally planned for HKDL (the big plot of land next to Grizzly Gulch). Don't know whether they will resurrect that. The plan included a splash mountain / pirate of the Caribbean mashup. That's pretty cool. I think that will not be resurrected in the near term. The space is actually used as a performance venue for special events like Halloween. They also adapted it for Frozen sing-a-long, meet & greet or something like that back in 2014 or so. There is also talk of building it into a Grizzly Gulch expansion area (Grizzly River Run or Western River Expedition) in the distant future. But I think it will not happen for a rather long time. Maybe even after the second gate is open. After the re-theming of Buzz Light Astro Blasters to S.H.I.E.L.D ride next year, I think it might be a good idea to bring the currently under-construction (at DHS in WDW) Alien Swirling Saucers to the empty plot of land next to Toy Story Land. It should be relatively cheap to do and it will bring Buzz and the highly popular Aliens back. They can add a Pizza Planet restaurant as well, since there is no pizza restaurant in the park right now. Of course people want Toy Story Mania and that would be nice. But the costs is probably a big obstacle. Last edited by Asa; 05-15-2017, 07:48 PM. Completely agree Asa, and just like you said, I want Pizza, Buzz AND Toy Story Mania 3.0. Btw I really think we need more dining variety in HKDL , I really liked the Blue Lagoon Restaurant at Paris Disney which is located inside the ride building of Pirates of Caribbean. I hope something similar is planned in the Frozen area. Yeah. HKDL needs some maybe remodel the adventureland. like having the land on lower left side of the land, move the lion king attraction, and splash mountain and other unique attractions next to grizzly gulch and fill remaining lands with more unique attractions. to add some challenges, It has to be something that makes the Native Hong kong people feel proud of their culture and language. Same goes for the second gate. HKDL CEO Samuel Lau was asked yesterday at Disney Explorers Lodge opening if the park will suffer any delays in its expansion project, due to the long and extended debate in LegCo. He said the park will / should be able to catch up on the time loss and he expects the projects to still be completed according to the original timeline. I keep asking myself why can't they build a 2-floor restaurant with more seats which people can really taste the food and the ambience and no need to wait a long line or people waiting your table. And I hope they are not leaving the restuarants in Adventureland to rot too. Speaking of the Jungle River Cruise, I found a footage of the Story-telling Jungle River Cruise Holloween Event, 2015 Hong Kong Disneyland Halloween - Curse of the Emerald Trinity (Full). It worked out quite interesting and appealing to me. Maybe a strong story line can help re-imagine an old attraction. I think because the park hours are so short (10:00am to 8:30pm), guests struggle to do everything so few people actually sit down and enjoy a proper meal. Only people with Magic Access or multi day passes will do that. Most people still have the idea that HKDL is a small park and they can do it all in one day, then when they arrive they realize it is not happening due to the shorter park hours.